The OYO 5919 near MG Road Metro Station is an economic and budget-friendly property located in Gulmohar Marg, DLF Phase 2, Sector 25, Gurugram. The nearest metro station is MG Road Metro Station.The rooms are spacious, elegant and well-lit. The decor is simple yet classy. The long flowy curtains complement the soothing vibe of the room.Each room comes with an AC, mini-fridge, TV, and free Wi-Fi. Other than these the hotel has a seating area. 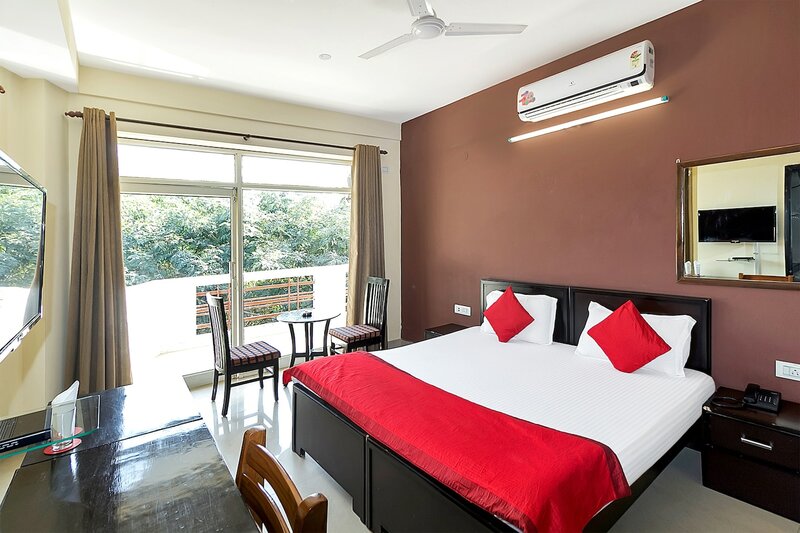 They also offer power backup, parking facility, and laundry facility.The restaurants and market places in the vicinity are The Chowk, Haldiram's, Stone Oven La Piazza, TGI Friday's, Barista Lavazza Espresso Bar, Cross Point Mall, DLF Mega Mall, Athena, JMD Regent Plaza Mall, and Coupon Dekho.